In the not-so-distant past, mobile web design tended to involve the development of an entirely separate mobile-friendly website or apps that the user had to download before they could access a site from their mobile device. Because of this, mobile development tended to be costly and the clunky user-experience was anything but positive. Today, responsive website design shines where mobile web development couldn't. With every web project they lead, our designers use cutting-edge responsive site design to create the ultimate user-experience for mobile and desktop users alike, at one easy-to-use and awesome looking site. When statistics show that 55% of smartphone owners search the web from their mobile devices, it goes without saying that mobile websites are no longer a luxury but a necessary component for doing business on the web. 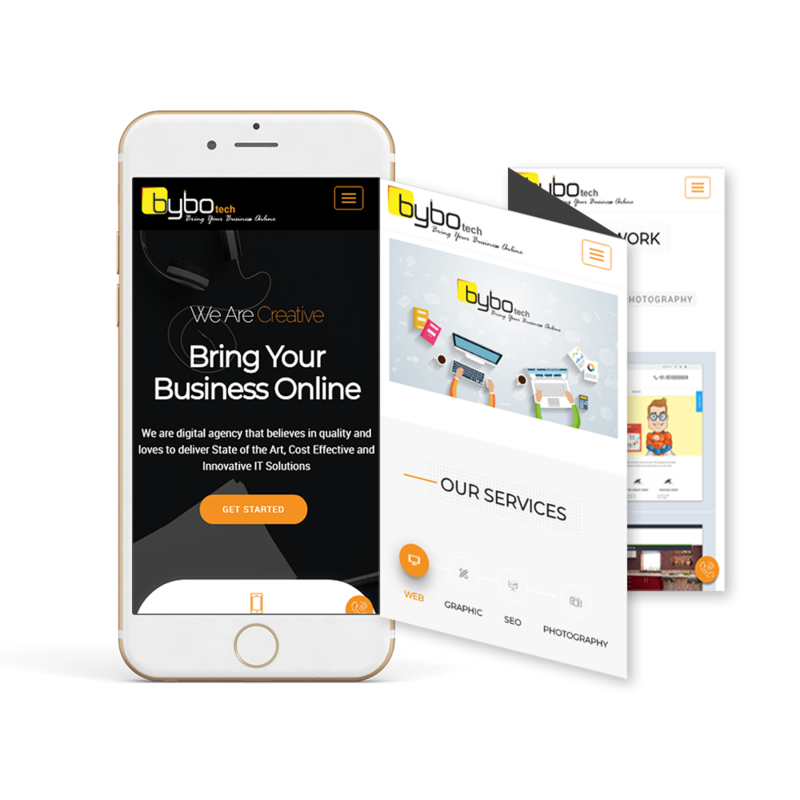 If people are increasingly using their mobile devices to search the web for the goods and services they're ready to buy, you can't afford to lose business to competitors whose responsive websites can offer prospective customers the experience your website can't. Better User Experience: The experience of visiting a non-mobile-friendly website from a mobile device is frustrating. The visitor must zoom in and out and scroll side-to-side to find the information they need. On the other hand, visiting a responsive website is like a breath of fresh air - all the contents of the website are just the right size, and information is easy to find. Improve Online Visibility: Google favors responsive websites more so than separate desktop and mobile websites. Being on the "good side" of this search engine giant could increase the likelihood that your website will appear in search engine results pages. Save Time: Time is money, and money is time. Having only one website to update instead of two will save you time and money. The mobile audience continues to grow at a staggering rate. Businesses must keep up or be left in the dust. Faster Webpages: Mobile users in particular have short attention spans. Studies show that mobile visitors tend to abandon webpages that take longer than three seconds to finish loading. If a site isn't optimized for smartphones and tablets, it will also take more time to navigate, which can frustrate customers to a point of no return. Ensuring that your responsive website uses modern performance techniques such as caching and responsive image display will help improve your webpage's loading speed. Lower Bounce Rates: A responsive and optimized mobile site provides a much better user experience for the visitor. Therefore, it is much more likely that they’ll stick around for a longer period of time and explore different areas of your site. Alternatively, if your site isn’t responsive, it is much harder to keep the visitor engaged and therefore more likely that they’ll bounce.